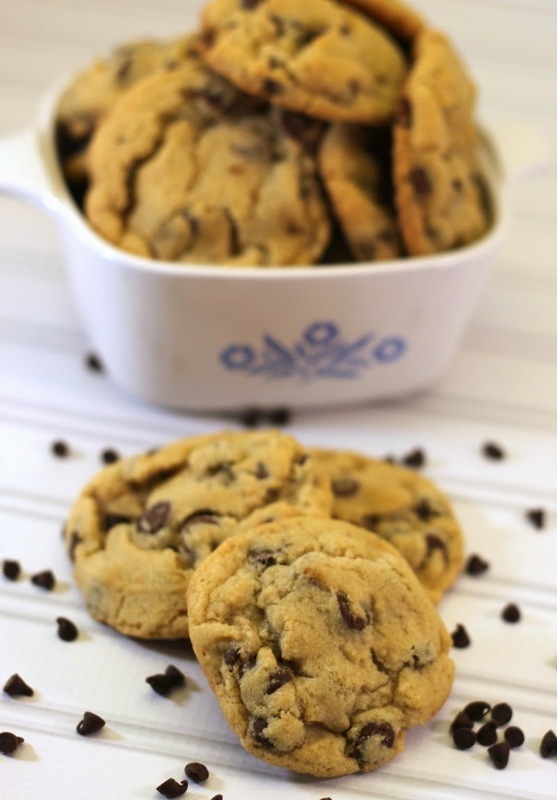 This is Bill's favorite Chocolate Chip Cookie recipe. Just like with cake, Chocolate is not my favorite, oh I will eat them but I would rather have me a sugar cookie. Bill has had to go into work early and travel farther than normal the last 2 days to do some PM work so I thought these cookies would be a nice treat for the ride. Cally will be home later today for the weekend so I am sure she will also enjoy these cookies! If you saw my post last weekend for my Homemade Vanilla and you want to follow along on it's journey to becoming awesome vanilla watch for the update post tomorrow to see how the vanilla has changed in just one week. 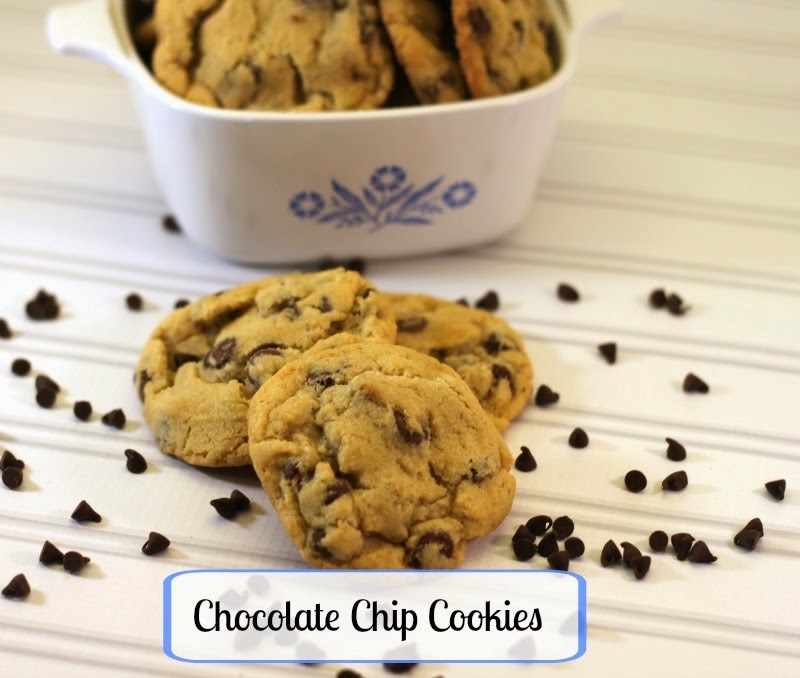 2 cups milk chocolate chips.